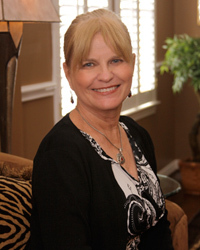 Dr. Pam Schiller is a curriculum specialist and freelance author and speaker. Dr. Schiller has worked as a childcare administrator and has also taught in the public schools. She served as Head of the Early Childhood Department at the University of Houston, where she also directed the Lab School. Dr. Schiller shares her extensive knowledge in workshops, radio and television interviews, and as a popular keynote speaker and author. She is the author of six curriculums, including the widely used Frog Street Pre-K Program, twenty-four children’s books, more than thirty teacher and parent resource books and a number of other creative projects such as activity books, DVDs and CDs. Her newest project is a comprehensive Infant and Toddler program she is writing for Frog Street Press. Pam lives in Cypress, TX. Who Are These Kids & Why Are They Driving Me Crazy? Circle Time is Lots of Fun! Early Bird Deadline is 10/12/2016, after this date a $25 per person late fee will be incurred.